Take a short sail at no cost. Try being a Skipper without buying or chartering. 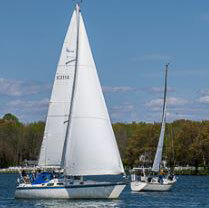 Join the Club and enjoy two days on-the-water training OR boat orientation and PSA Skipper check-out. RSVP required.